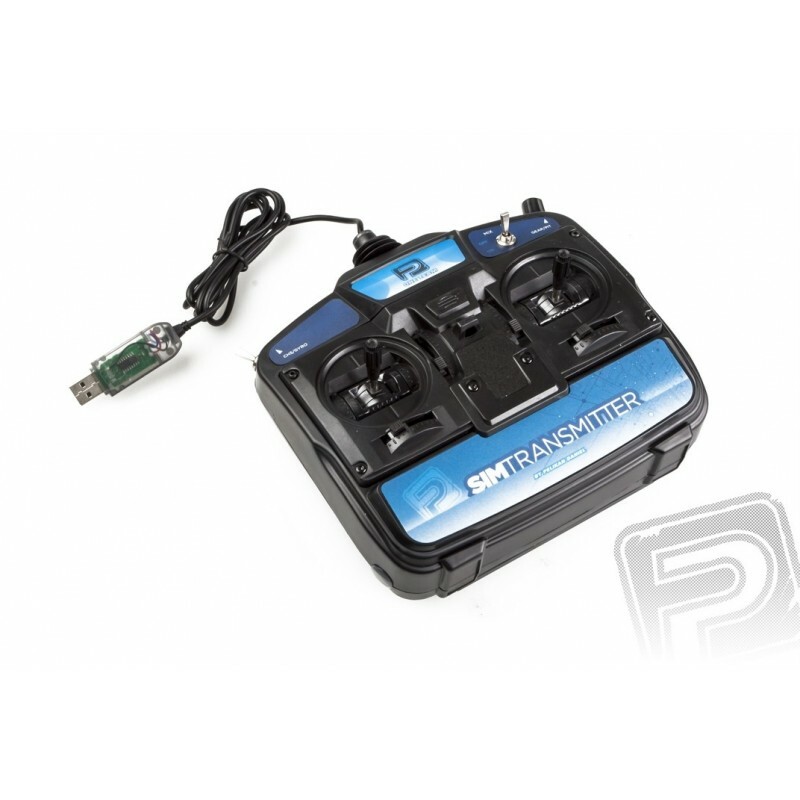 Six-channel controller for RC simulators and PC air simulators and games - two cross-drivers, two switches, with USB cable. Mode 2 controls (gas left). 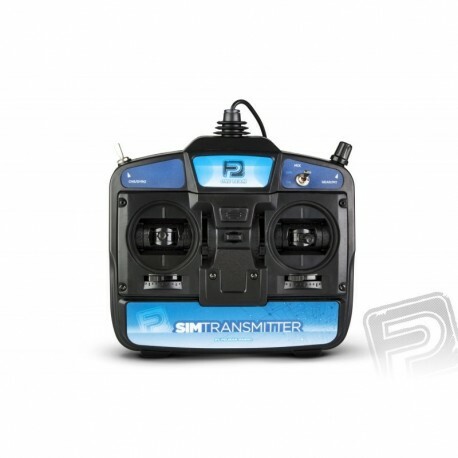 SIMtransmitter 6 serves as a universal dual joystick to control model simulators or PC simulators. It is equipped with a pair of proportional crosscuts (with a one-way lock for gas control), one proportional channel controller (rotary knob), a disproportionate channel controller (two-position toggle switch) and a two-channel mixer on / off switch. The PC connects to the USB port. You can use it to control computer RC simulators (such as popular FMS or Multiplex MULTIflight) or PC simulators and games requiring a joystick (including Microsoft Flight / Combat Flight Simulator or Il-2 Sturmovik). Power from your PC - DO NOT NEED ANY BATTERY! Below are links to freely downloadable RC model simulators that you can use for the SIMtransmitter driver.